Mississauga, ON – “If prescriptions for eyewear are important for workers to see properly to preserve their vision, then it makes sense for workers to take care of their hearing the same way”, so says Brad Davidson, President of HearSafe Canada Inc.
We have multiple custom products to facilitate and clarify communication in the workplace while keeping the employee safe from harmful noise levels.Applicable to both two way radio and network phone systems. We offer custom ER plugs for musicians along with the new Digital-Hybrid in-Ear Monitors from Aurisonics at an unbeatable price. 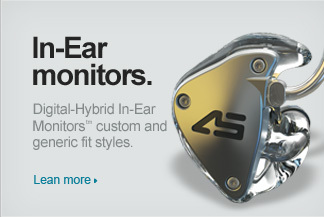 Our custom ear phones are great for the gym or that long ride on your motorcycle. Block out the harmful ambient noise with an earphone that never falls out and provides a one of kind listening experience. Many of our custom ear plugs can be fit on site and ready to wear in 20 minutes! All our impressions are digitally scanned for easy replacement. We replace lost product within 2 weeks. All of our custom products are made from medical grade 6 silicon for professional performance and durability. Whether for work, play or peace of mind...a custom fit will give you an ear plug that is comfortable, efficient and effective. Copyright 2012 HearsafeCanada Inc.. All rights reserved.